We are one of the reputed EPDM Rubber Beading supplier in Bangalore/India. The Rubber Beading we manufacture comes with nylon inserts that ensure hassle-free fitments. There is a wide range of applications of rubber beading. So in order to meet the requirement, we manufacture a wide range of products. These rubber beadings are a type of synthetic rubber which prevents contact between metals and perfect for sealing the screens. There is a high demand for these rubber beadings. The Industrial Lock supplier/manufacturer, we offer, is available in varied and precise dimensions. Taking the requirement of the client into consideration, we ensure a high-quality product. 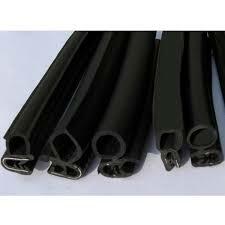 We are one of the leading EPDM Rubber Beading supplier in Bangalore/India. We have good expertise and dedicated team. We also ensure damage free product. The material we use in the manufacturing process is highly resistant and durable. Dirak, one of the fastest growing EPDM Rubber Beading supplier in Bangalore/India. As client satisfaction is one of the factors we consider as important, we are very precise in each and every step of manufacturing even in dimensions and finishing. Without compromising on quality we ensure the products reach clients at convincing rates. Apart from this, these products are dispatched at the customers' premises in committed time-period to attain the customer's satisfaction.